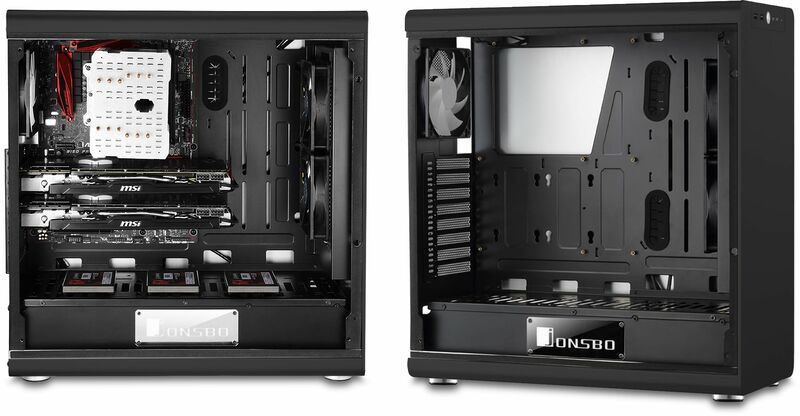 Jonsbo's RM4 is an elegant sophisticated full tower chassis with brushed aluminium panels with the left hand panel being tempered glass. The RM4 is an impressive ATX tower with a huge windowed side panel made of tempered glass. The design of the RM4 is kept as clean and as simple as possible. 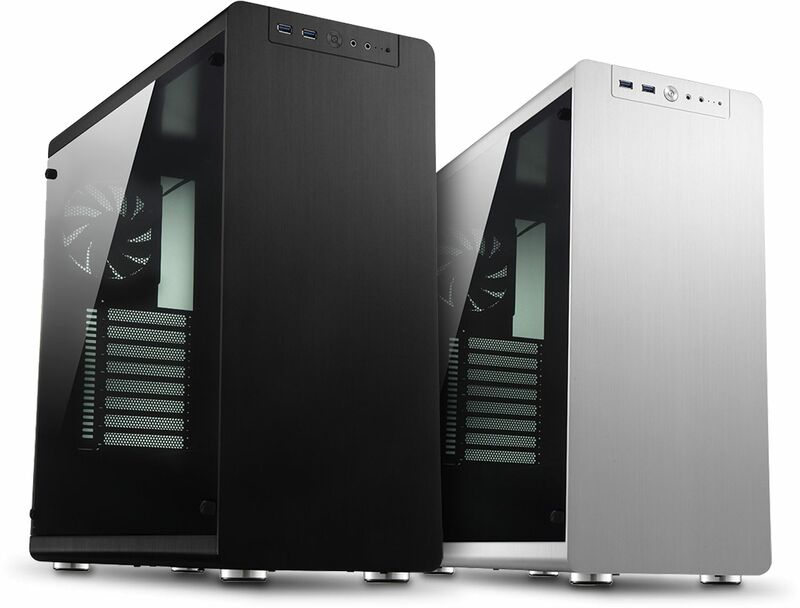 The side panels are brushed aluminium which gives the case a particularly sophisticated appearance. The internal chassis of the RM4 is made of 1.0mm thick SGCC steel that gives the case maximum stability. The rear and right side panels are covered with 2.0mm thick aluminium, while the front panel is made of 4.0mm thick aluminium and as you can see the RM4 is available in black or silver. 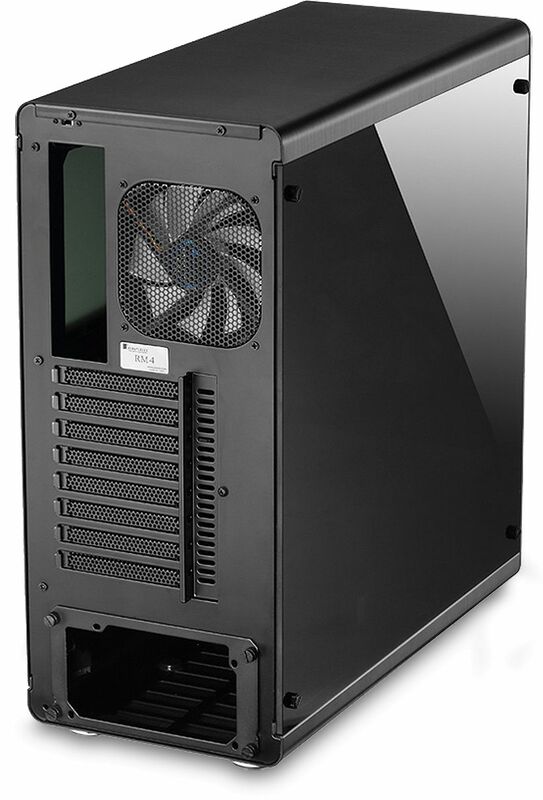 With the intelligent interior design, the RM4 allows the installation of motherboards of up to a maximum size of 245x305mm, for ATX motherboards or compact Micro-ATX or Mini-ITX systems. Standard ATX power supplies can be installed in the RM4 which is located in a separate area below the motherboards. On the back of the case there are eight PCI expansion slots. A well thought-out ventilation system ensures sufficient cool air is supplied to the internal components. Two 120mm fans are pre-installed behind the front, these can be exchanged with 140mm models if necessary. Another 120mm fan can be found on the rear of the case to exhaust warm from within the chassis. In addition, up to three 120mm or two 140mm fans can be installed at the bottom of the case if the space is not used for mounting SSDs. The Jonsbo RM4 also supports water cooling radiators - the fan holder behind the front is able to accommodate a 240 or 280mm radiator. It is even possible to install a 360mm radiator can be installed below the motherboard. 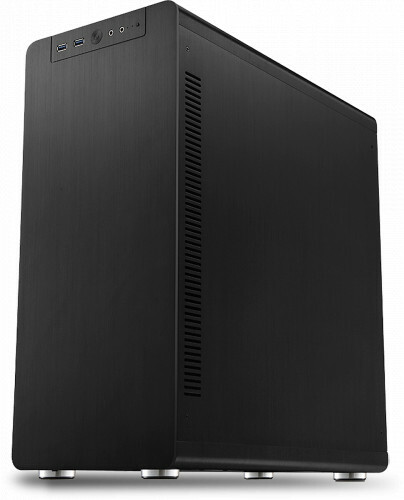 This means that there is nothing to prevent the installation of a powerful water cooling system. In order to guarantee a particularly smooth-running system, the hard disk drives are anti-vibration mounted at the bottom of the RM4. On the partition beneath the mainboard, you can install up to three 2.5" SSDs. Two other SSDs can be found on the back of the mainboard tray. Finally, two 3.5" HDDs can be mounted in the hard disk cage, below the mainboard. Two USB 3.0 and the obligatory audio connectors are available externally allowing for external hard disk or USB drives to be connected quickly and easily.